Surgery is usually viewed as a last resort or necessity. 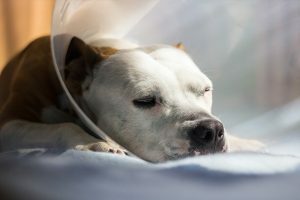 If you find yourself in this situation, our surgeon and trained staff are available to perform advanced procedures not commonly performed by your regular veterinarian. Some of these procedures may require specialized equipment, intensive monitoring, attentive after care, or 24-hour, around-the-clock observation for a period of time. If your pet has surgery at Allure, we will make recommendations regarding physical rehabilitation or other supportive modalities and then we will likely discharge your pet back to the care of your regular veterinarian for ongoing follow-up care. Our surgeon is board certified, which means they have undergone additional training after veterinary school and have passed the required testing and certification requirements of the American College of Veterinary Surgeons. Click here for the American College of Veterinary Surgeons website to learn more.